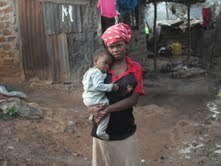 Thank you for your desire to provide immediate help for the young mothers and our programs. HALEA depends upon the generous support from our committed friends and donors, who like you, help us to further our mission to reach out to and empower the marginalized people amidst us every day. Please feel welcome to contact us directly should you have any lingering questions about donating to HALEA. Our staff will be ready to speak with you. You can reach our team at +256-772-576635/704-609534 or via email at haleauganda@gmail.com.